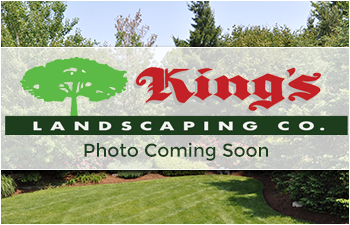 Since 1988, Mr. King has been President of King's Landscaping Co. With over thirty years of experience, from planning and execution, to management, Mr. King knows what it takes to establish King's Landscaping Co. as a leader in design, construction and customer satisfaction. He oversees the progress of all on-going projects, and ensures that each job is done with pride, precision and customer satisfaction. Since 1988 Noel has worked with Mark to varying degrees. When King's Landscaping, Co was incorporated, Noel took over the office, allowing Mark to pursue sales, design, and construction. Throughout the years, Noel's job has fluctuated with the needs and growth associated with any business. Today, she is in charge of all administrative duties ranging from payroll and advertising, to accounts payable and job scheduling. Since graduation, Mark has been designing and installing in Urbana-Champaign. His portfolio is quite extensive and his ability to create distinctive landscape plans is quite remarkable. Mark works on a personal basis with all his clients to ensure nothing but perfection from start to finish. Contact Mark today to experience a customer service level only found here at King's. Since graduation, Megan has been involved in many design ventures in Northern Indiana. She comes to King's with a creative flair that can only be described as unique and extensive. Her talent in perennial garden design will compliment any and all outdoor living spaces. Adam just recently graduated from DePaul University and now handles supplier and customer relations along with running the maintenance division. He is currently taking classes at College of Dupage to better advance his landscape knowledge. We are excited to have another member of the King family carry on the family tradition. Chris is King's Landscaping newest member to the team! Chris comes to us from Illinois State with a degree is Horticulture and Landscape Management. Chris has grown up in the Hinsdale area and is excited to contiune to work in the community. Shannon Mapson recently joined Kings Landscaping to take on the role of Office Manager. Shannon has been in the landscape industry for 13 years and is a breath of fresh air in the office. When you call King's to set up your dream backyard make sure you ask for Shannon for an appointment.